In the short report below, we provide some insights from the Forest Peoples Programme into the much-heralded ‘Payment for Ecosystem Services’ initiative which has been set up by a company called Canopy Capital, in the rainforests of Guyana. The project at Iwokrama has been lauded as ‘an historic deal’, and has gained much international attention, not the least through the support shown for this kind of venture by His Royal Highness the Prince of Wales, Prince Charles. However, doubts about the scheme have been growing, and it may not be quite the ‘model’ it appears. The Iwokrama scheme was originally set up in 1996, at a time when Guyana’s President Chedi Jagan was keen to prop up his country’s flagging international credibility. It was intended as a visionary and self-sustaining new scheme to balance conservation with sustainable rainforest use and provide world-class facilities for scientific research. But the economics of the scheme were never sound. Having built a large centre and employed numerous staff, it has always relied heavily on support from donors and, increasingly, the revenue from logging operations, which have now been allocated across half the area’s 370,000 hectares. By 2007, the scheme was effectively out of cash, and in search of new forms of income. Enter, in 2008, Canopy Capital, in the form of Hylton Murray-Philipson, a former banker, and Andrew Mitchell, a rainforest canopy scientist and founder of the Global Canopy Programme. Canopy Capital contracted with the government of Guyana to ‘buy’ the ‘ecosystem services’ of the area, for an as-yet undisclosed sum. Murray-Philipson has said that it is important for his kind of project to “deliver a better living for local people”, but exactly how much of Canopy Capital’s money is reaching local communities has also not been divulged. Murray-Philipson and Mitchell have also been close advisors to the Rainforest Project of Prince Charles, who has been Royal Patron of the Iwokrama project since 2001. The British heir to the throne talks in a web video about Iwokrama as an example of how ‘ecosystems services’ markets can work, and specifically mentioned Canopy Capital’s Guyanese venture during a BBC radio interview earlier this year. 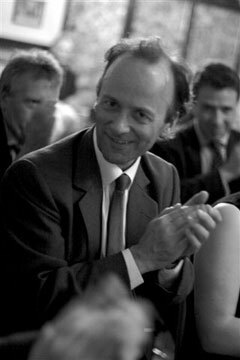 The dual role of Mitchell in both the Global Canopy Programme, which has strongly lobbied European decision makers for inclusion of forest credits in the Emissions Trading Scheme, as well as in Canopy Capital, which would no doubt stand to gain financially from such a policy development, has also raised a few eyebrows. Andrew Mitchell thinks he can spot a profit amongst the tree-tops. As Murray-Philipson said in an interview with Mongabay.com,“If you can’t make something work in Guyana, I’m not sure you are going to ever make it work anywhere.” There may be more truth to this than he realises. On the basis of what has happened at Iwokrama so far, the precedent for these kinds of projects in terms of transparency, respect for indigenous rights, and consultation, is not very promising. Prince Charles, who has been a committed long-time supporter of the world’s indigenous forest people, may fail to be amused on learning that Iwokrama’s indigenous inhabitants appear to have been treated with less than full respect by the Canopy Capitalists and their partners in the Guyanese government. In March 2008, the investment firm Canopy Capital and the related environmental alliance known as the Global Canopy Programme (GCP) signed a preliminary agreement with the Iwokrama International Centre for Rainforest Conservation and Development. Under this deal, Canopy Capital will help finance the rainforest protected area for five years in return for ‘ownership’ of forest ecosystem services and a claim in any future profits. The new saleable asset would involve carbon values and possibly rainfall, water storage, soil conservation, biodiversity, climate buffer and watershed values. Canopy Capital aims for getting involved in the deal are to try and establish a best-practice model, protocol and standards for global profit-driven market-based payments for forest Ecosystem Services (ESS) and to create a stepping stone to a national scheme in Guyana and ultimately a global market in environmental services. At this stage, Canopy Capital is exploring options for marketing ecosystem services through an ‘Ecosystem Service Certificate’ attached to a 10-year tradable bond. The company advises that interest from such bonds could help pay for the maintenance of the Iwokrama forest. Canopy Capital has a commitment to measure and value forest ecosystem services and to develop a financial and legal instrument to market ecosystem services. If this is achieved and sales of services are possible, then the investment company will have a major stake in any financial returns. How benefits would be shared between Canopy Capital, Iwokrama and local communities is not clear as the CC-IIC agreement remains confidential. Canopy Capital and its legal advisers admit that the deal was not adequately discussed with the implicated communities but just discussed and agreed with the Board of Iwokrama, which has one community representative. However, the community of Fairview that has titled lands within the Reserve was not consulted directly and communities that use the reserve and have never surrendered their ancestral ownership over the area were not directly involved. Asked about why the deal had been shrouded in secrecy, Canopy Capital and Iwokrama advise that for reasons of ‘commercial confidentiality’ it was not possible to broadcast the issue before the deal was done and for this reason also the agreement remains confidential. Forest Peoples Programme has raised questions regarding this process, stressing that rights to prior consultation and consent must be respected in all agreements or transactions affecting indigenous and other forest dependent communities. These rights are upheld in international law for customary lands under occupation and use and are also enshrined in national Guyanese laws for titled Amerindian lands. Presumably, therefore, as an absolute minimum, the village of Fairview should have been consulted and their consent obtained prior to the agreement being concluded. PHOTO Credit: “Forests alive” Forest evapo-transpiration, © Katherine Secoy.